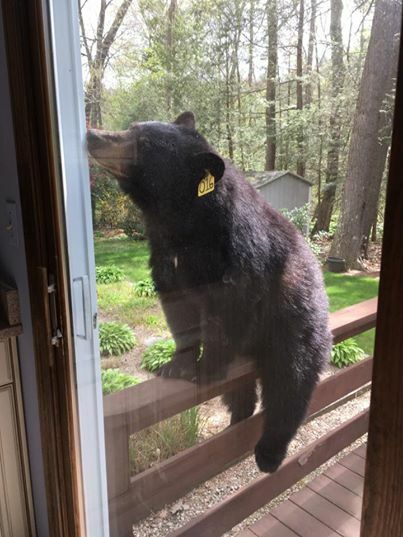 Massive Bear Smells Delicious Brownies – Immediately Follows The Smell Back Home! Ooey, gooey chocolate brownies – who doesn’t love those? Add a scoop (or two) of vanilla ice cream, and I am in heaven! 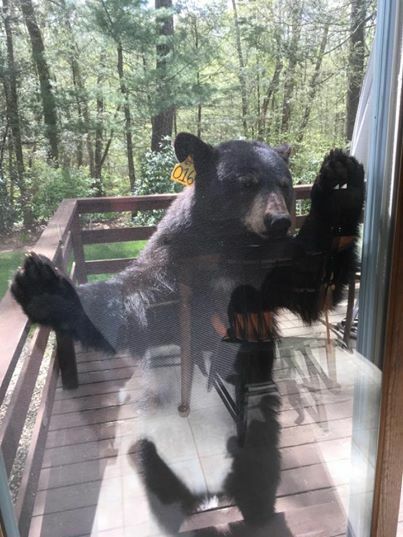 A woman in Connecticut was whipping up a batch of delicious brownies when she heard something bang against her screen door. 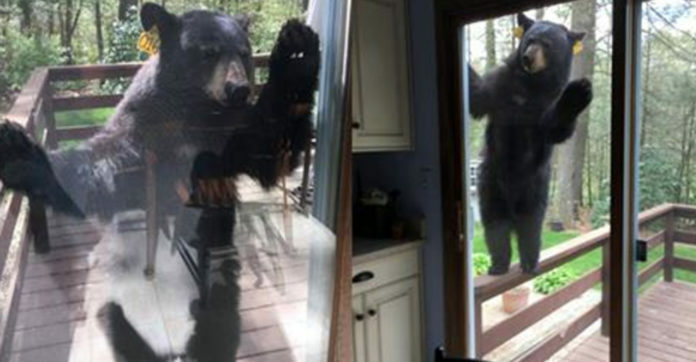 She was shocked to see a young bear standing on her porch! 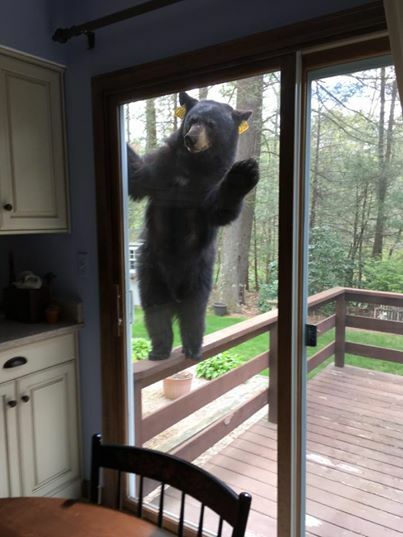 It was as if the bear wanted to come in and have a brownie! Who can resist that lovely aroma of chocolate that wafts from the oven? To show her how serious he was about having a brownie, he crawled up onto her railing! He was either trying to get inside or just showing off his climbing skills! With that ‘bird’s’ eye view, the bear can see the brownies in the oven!